Most of designers frequently read some kind of a magazines, tutorials, articles or blogs to increase their knowledge of the market or to learn something new. If you are one of these designers like me then you will mostly like to read .psd magazine. 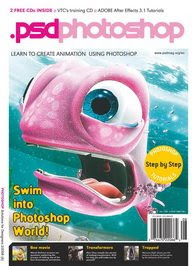 In .psd magazine you will read about the secrets and hidden tricks of the most used design application Adobe Photoshop. 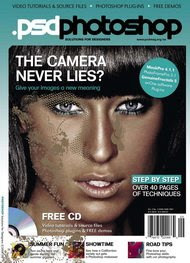 .psd magazine provides its readers with a professional articles, a step by step tutorials, interviews, tips and tricks and even it provides you with free resources on the included free CD. I my self have read .psd magazine and my first impression was excitement, because I found a number of high quality and professional topics which include: 2D design, 3D design and modeling, illustrations, photo retouching and many more. I really recommend considering a subscription to .psd magazine to experience the feelings I had. Next you will find the covers of the upcoming issues February and March, 2008 of .psd magazine.